August 4, 2016 By Elise 2 Comments This post may contain affiliate links. Please read my disclosure policy for more info. There are pretty much three qualities you want in a cleaner, right? Let me add a fourth to that: You want it to be non toxic – or even good for you if that’s possible. I think it is possible, and it’s not as hard as you might think. 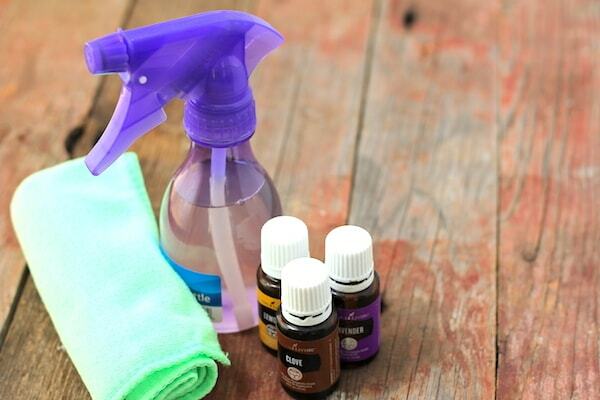 I spent a lot of time hating natural and homemade cleaners because they just flat didn’t work. It took me longer to scrub, and my toilets still stunk, so I would go back to using bleach based cleaners. The main culprit was one that claimed to be made with essential oils. Talk about a disappointment! So when a friend posted on Facebook more than a year ago, about how she had cleaned all the gross bug goo on the front of her car (you know what I’m talking bout, right?) with lemon essential oil, I was less than impressed. I imagined she just scrubbed the tar out of it so she could brag on her essential oil. But then, one day, when I was really frustrated with the stains on my white countertops, I remembered that post, decided it couldn’t hurt to try, and grabbed my bottle of lemon oil. Now I was impressed. I couldn’t believe it! From there, I decided that Thieves household cleaner might be worth a try after all. And. It. Was. Pretty sure buying Thieves cleaner was the best money I spent in all of 2015. But not everybody is into Young Living, and even if you are, let’s be honest, making your own blends is more fun, right? Yes!!! Add borax to the water and stir until dissolved. Add the vinegar and let cool. This is one of my favorite essential oil blends for soap making too! 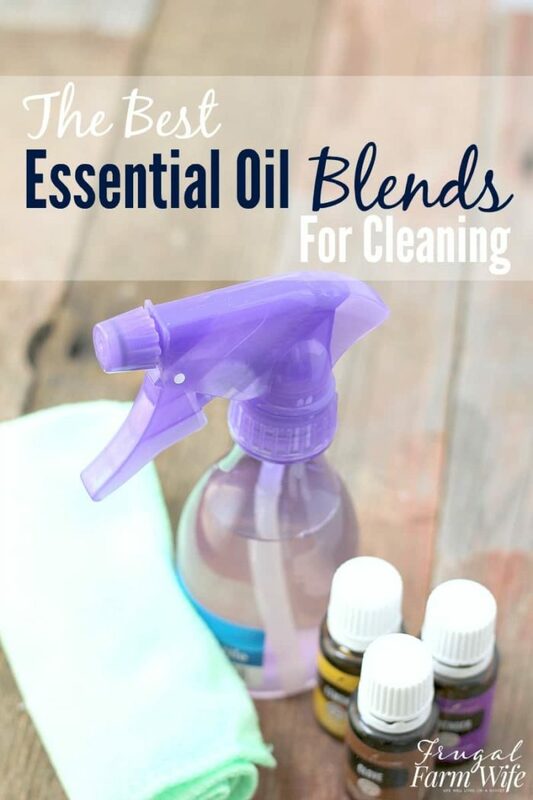 Using these essential oil blends, I have never had any trouble with my toilets stinking. I guess that’s the power of mixing them yourself and knowing exactly what’s in your cleaner, rather than relying on a label that says essential oils were mixed in – but who knows how much or how long ago. Besides, you get to make my cleaner smell exactly the way you want it to. When you say one part with the oils in your blends about how many drops of each are you using? The recipe calls for 15 drops total, so if you use the blend that is 1 part lemon, 1 part lavender, 1 part peppermint, you would use 5 drops of each. if your blend is two types of oils, you’d use 7 drops of 1 and 8 drops of the other, etc.